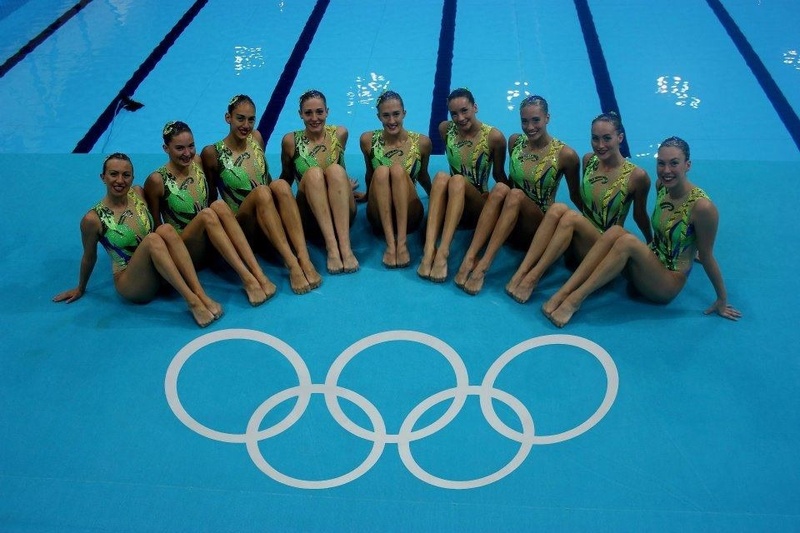 I started synchro in 2001 at the age of 9 and retired in 2013. I became interested in synchro because I was bored of swimming up and down staring at the bottom of the pool, I was also known as the pretty swimmer (I was not fast!). I competed at all the local competitions; Warwicks, Midlands and Nationals for the first few years and eventually took part in my first junior national team trials in 2007. I was the youngest by a few years but placed 11th and was invited to train with the team during their camps for the Junior Europeans. I then trialled again and was successful the following two years competing at the Junior Europeans in 2008 in Angers France, in the Junior World Championships in St Petersburg Russia and the Junior Euros in Gloster in 2009. Next, I took part in the Senior National trials in 2009 and was selected to train full time, 40-50 hours a week with a schedule that included strength and conditioning, speed swimming, flexibility, pilates, the synchro training and then on top of those hours our own extra training if needed. It was a big, tough jump from club training but it was definitely worth it having the opportunity to compete all over the world in Senior international competitions. My biggest achievement was competing at the London 2012 Olympic Games and to have Alison judging there was quite special! I retired after the 2013 World’s in Barcelona and went on to do a synchro tank show in Abu Dhabi and now I perform in Le Reve, an aquatic show in Las Vegas. All of you in this club are extremely lucky to have such experienced coaches, especially Alison; she knows a lot and has a lot of experience internationally and is well known and respected in the synchro world! Always work hard and try your best; you never know what you’re capable of until you put the work in. Enjoy yourself, look after each other but also show respect for your coaches and each other.